Today I was awoken by the postman at 7am…. Feel a bit sorry for him really as it’s not a pretty site! He handed me a tube. Intriguing. 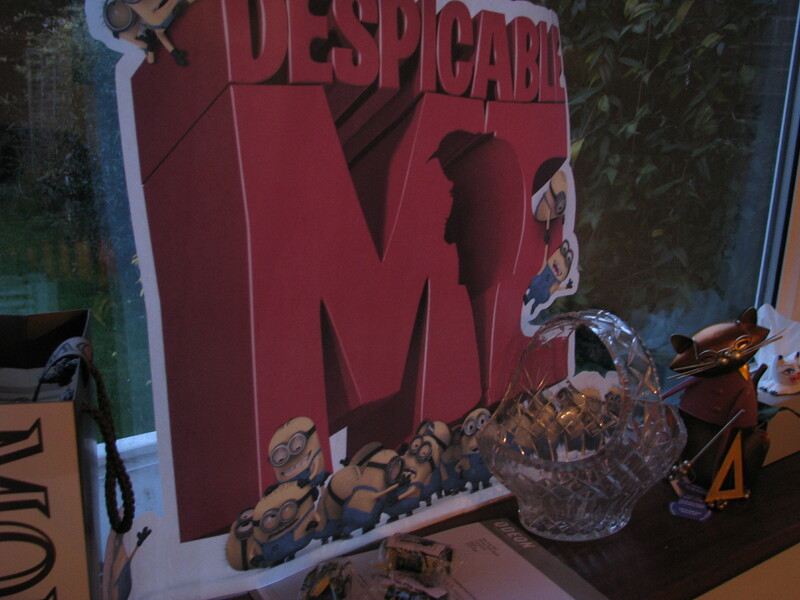 Inside the tube was a large Dispicable Me sticker, 3 minions and a letter! In case you aren’t aware, this relates to a complaint I made. I have already had a very lovely response from the General Manger at Colchester Odeon here. So I wasn’t really expecting a reply from HO as well. At risk of further angry comments (see comments already made on first Odeon post…) although I do appreciate the Odeon sending me the sticker and the minions, the letter they sent kinda indicates that they didn’t ‘get’ the complaint at all. I apologise for my delay in getting back to you sooner over this matter. Please find 3 minions. Not sure if they £1 each but the cinema is not allowed to sell merchandise as they have a binding agreement with the Film Distributors. Despite this I apologise for the disappointment this caused and financial cost to you. I hope this helps ease the discomfort. I just wanted to drop you a quick note of praise for the outstanding customer service that I recently received from xxxxxxxxx of the Colchester Odeon. I had a complaint based upon a visit to the Colchester Odeon and xxxxxxxxx acted promptly and intuitively to put it right. I truly felt that the level of customer service given by xxxxxxxxx far exceeded my expectations and I feel it only fair that I write to you to applaud him for his actions. You have a shining star of customer care within your midst and I hope that congratulate him accordingly. Conversely – the ‘official’ letter that I received from the Odeon Customer Care team was badly written, in poor English and demonstrated no understanding of the actual issue raised. xxxxxxxxx could and should be an example to your Customer Care team.